10-2pm- Tie Dye and hot dog cookout at the Rec Center! 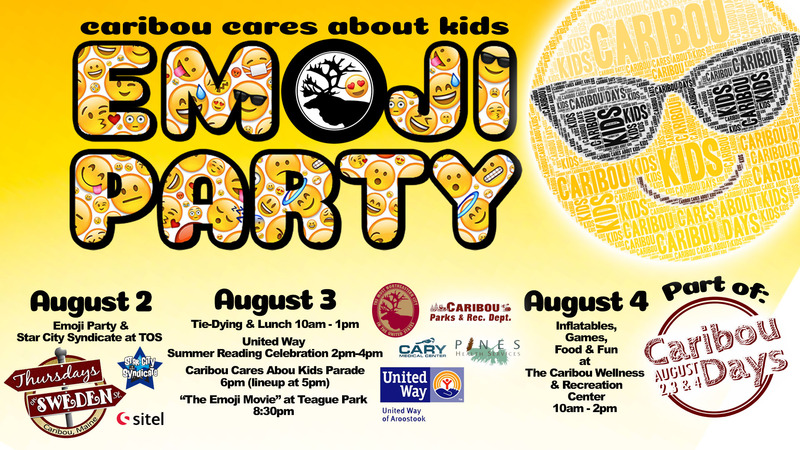 6-7pm- Caribou Cares About Kids Parade (floats line up at 5pm) – This year’s theme is Emoji Party! The many “faces” of Caribou! 8:15pm- Movie in the park! Enjoy The Emoji Movie under the stars, sponsored by Cary Medical Center & Pines Health Services! Popcorn and other snacks available! The parade sign up sheet can be found here. 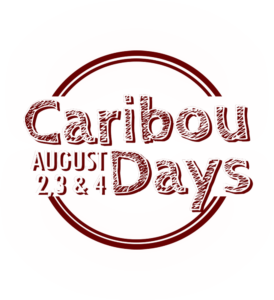 10am-2pm- Inflatables, games, food vendors and music (location TBD)! More event details coming soon!